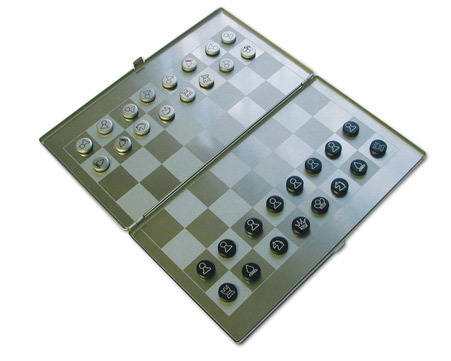 Metal Slim Profile Magnetic Chess Set. Gift Boxed. Metal Slim Profile Magnetic Chess Set. Gift Boxed. Item size: H 6 3/8¨ x D 1/8¨ x W 3 1/2¨ Imprint area: H 2" x W 2 1/2" 80 pcs/37 lbs. Engraving also available.